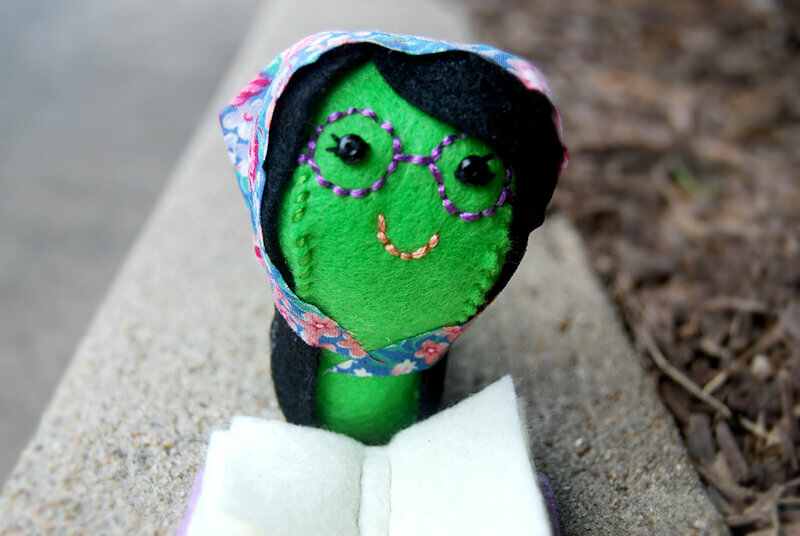 Way back in January I bought the book “Wee Wonderfuls” by Hillary Lang, along with some other craft books, and my very first project was Evelyn Inchworm. 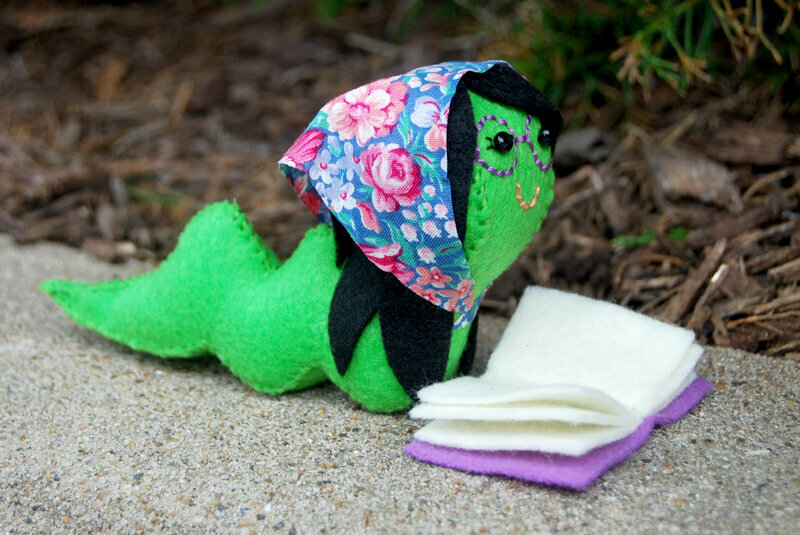 Seriously, like five minutes after finishing her I thought “How cute would it be to make a Lia bookworm!” So when Lia’s name came up in the giveaway drawing, I knew exactly what I wanted to make her! Here she is – Lia Bookworm!! I love how her hair looks. So does Juniper… She has now made it very clear that her own inchworm neeeeeeeeeeeeeds hair ASAP. I need to sew another one anyhow, so each kid can have their own. You wouldn’t think they’d fight over such a silly little doll but oh my goodness they sure do. Flynn of course often turns her into a sword. Just like everything else. June 19, 2013 in Crafty, Sewing. Are you kidding me? I am coming to kidnap you and force you to make all the pretty things for me! I wish I could absorb some of your talent!